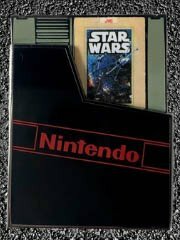 Thanks to our pal Adriana, we have word of BBCre8.com selling this awesome Star Wars Cartridge (Slider Pin). It's $15 and was created for LA Comic Con, you can slide up the cartridge and there are several other low-run styles of other NES cartridges which I am trying to convince myself I do not need. Click here to see if it sold out. And yes, my fellow pedants, I know that NES Star Wars came in a plain black sleeve as it was a third party release. Let's not split hairs, this looks cooler.